Dozens of Mill's supporters gathered outside the courthouse shouting "Free Meek." 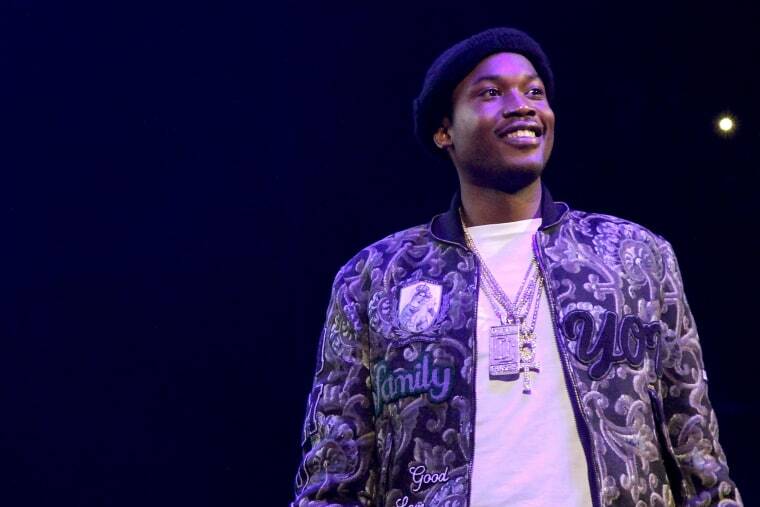 Rapper Meek Mill is getting closer to having his day in court, again. Philadelphia prosecutors told a judge Monday that they support a new trial for Mill, whose multiyear sentence for a probation violation has become a rallying cry for criminal justice reform. As dozens of Mill's supporters gathered outside the courthouse shouting "Free Meek," the district attorney's office said it believes there is enough evidence to vacate Mill's conviction after the police officer in his initial 2007 arrest on drug and gun charges landed on a list of officers suspected of lying in court and framing witnesses. The district attorney's office said in a statement that there are "questions about the credibility" of the officer who arrested Mill and others over the years. Lawyers for 30-year-old Mill, whose real name is Robert Rihmeek Williams, asked the judge that he be released on bail in the meantime, but the judge said that was not the purpose of Monday's status hearing. Mill's lawyers were expected to file a bail motion with a higher court. The judge is expected to make a decision on a new trial in 60 days, a district attorney's office spokesman said. Monday's rally in the rain for Mill was expected to draw popular rappers Rick Ross and Lil Uzi Vert and members of the Philadelphia Eagles. The "Maybach Curtains" rapper, who was sentenced last fall to two to four years in prison, has been championed by activists as a symbol of how courts can target people of color, in particular black men, with long sentences for less minor crimes. "Meek's fame and money did not protect him. Because where is he? He's locked up right now," said one speaker at Monday's rally. "The system is more than Meek Mill." In addition, the hashtag #FreeMeekMill has trended on social media in recent weeks as prominent voices, including New England Patriots owner Robert Kraft and entrepreneur and Philadelphia 76ers co-owner Michael Rubin, have called for his release. Fellow artists, including husband-and-wife Jay-Z and Beyoncé, have put out songs in support of Mill. In a telephone interview last week from prison, the rapper told NBC News' Lester Holt that he has found a greater purpose in his prison sentence. "I think God delivered me a job ... to helping people — helping minorities that come to these situations like myself," Mill said. In 2007, Mill was 19 when he was first convicted on drug and gun possession charges, and served a seven-month sentence. He hasn't been off probation since, even as his rap career from the streets of Philadelphia took off with his 2012 debut studio album, "Dreams and Nightmares." Then last year, he was arrested twice: Once for allegedly popping a wheelie on a motorcycle in New York City, and then for a separate altercation at a Missouri airport. Both charges were dismissed, but he was still found in technical violation of his probation. "It was always a thought in the back of my mind that 10 years of probation would bring me back to prison," Mill said. District Attorney Larry Krasner told NBC News last week that the information involving the police officer in 2007 has changed how prosecutors see the case. Krasner does not oppose Mill's early release and said he is a poster child for reforming the system: "Across the board, African-Americans are ending up with worst sentences over and over than white people."